Greetings commanders, so you want to play Star Citizen. 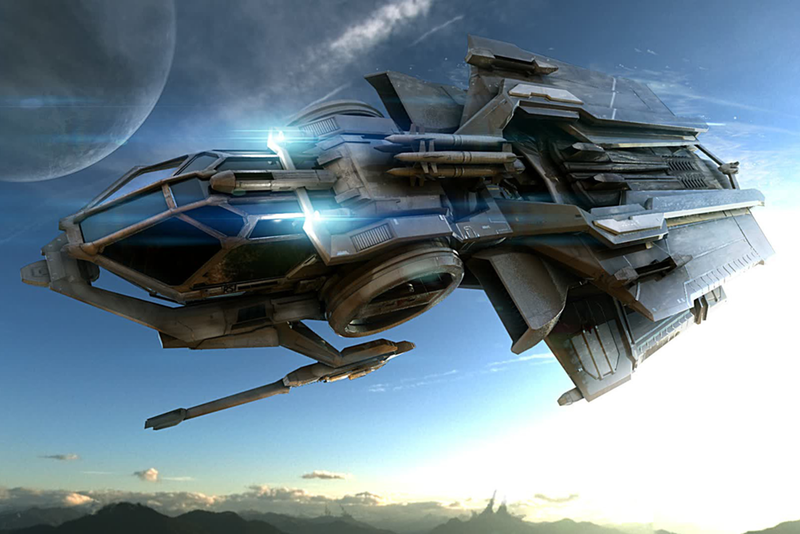 Did ya know that Star Citizen has reached beyond the $26 million needed to produce the entire game without a publisher? That any extra money that you give NOW in the crowdfunding campaign is just pure profit and allows you only earlier unlocks? All of the ships released as of late are available in the actual game, meaning that you’re literally buying something that’s going to be in an in-game shop. So the big question on your mind is how do I get in on Star Citizen and not lose my sanity or my money. Well there is an answer to that. You purchase the currently $45 Arena Commander Starter Package. It includes Arena Commander, Star Citizen, Squadron 42, Beta Access, a ship, some money, a PDF download (!! Get in on that !! ), a SelfLand Hangar, and 3 Months Insurance. Once you purchase this wonderful package you will have access to the tech demo (Arena Commander), the actual persistent MMO (Star Citizen), and the single player game (Squadron 42). More importantly, unlike the Aurora MR Package people keep buying thinking it gives them alpha / beta access, this one gives you that pre-release access so you too can become a loyal commander of Robert’s forces and thwart naysayers to the game. Unless a ship is marked as limited edition backers only, any ship you buy can be unlocked by playing the game. I do not believe limited edition backer only ships are being made available anymore, as there isn’t any huge rush for more money, so be aware of that when you’re shopping. This isn’t some exploratory argument about the origination of why I believe that people have mistakenly donated or a look at why I think people who purchased ships have done so without a reason. The key thing here is to understand that while you hear of people throwing thousands at the game, you can get into the game for less than the cost of most AAA titles. At this point Star Citizen has the budget of an AAA game, it needed only $26 million to go without a publisher. Now it has around $50 million and all sales are now purely profit. Which isn’t bad, whatever, games need to make money. The more money they make, the more capital to reinvest post-launch and the more they can pay people with, which naturally, makes things move along smoother and keeps solid talent. However, of course, we have to look at the elephant in the room. The game is nowhere near where it was when it launched. A lot of the ideas and things have changed, so has the design ideas behind the ships and a lot of other things. Basically, right now, the ship shop is going to be the same as it is at launch, so you’re effectively pre-ordering at the pre-launch price, but you shouldn’t hedge your bets for the game until you get to play it in my opinion. By play it, I mean, seriously actually play the released game. They’ve broke dogfighting off into the Arena Commander module, there is still the actual Star Citizen game and the single player Squadron 42 game that are in the far horizon. However, if you just want to buy in now, buy one of the inexpensive starter sets and you’ll be able to play with the various modules as they release them. Likewise, you can buy the even cheaper packs that are around $35 to just have the game ready when it launches. For everything else, you literally are shopping in the in-game store before the game launches and without knowing if you, personally, are going to like it or not. At the end of the day so far, only things like the Idris and Scythe are not available to unlock in the game or buy at a later time. There is the Aurora LN Package that has two additional hardpoints, assuming the stats make it into the final game. If you want to spend $5 more you can get a slightly better rat slaying ship. That right there is a super awesome lifehack. Speaking of lifehacks, let’s do more lifehacks tomorrow. See ya then!